Samsung Galaxy s5 features: Heart rate monitor feels like the future. 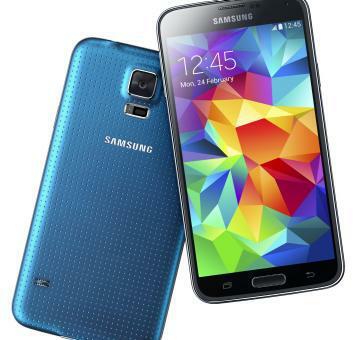 Unlike Samsung’s previous flagship phone, the Galaxy S5 focuses on features that might actually come in handy. A year ago, the stars were aligned for Samsung to release a world-beating smartphone that would finally establish the company as an innovator on the level of its arch-rival, Apple. Instead it released the Galaxy S4, a technically impressive gadget that suffered from an everything-but-the-kitchen-sink approach to software design. The S5 isn’t vastly different than its predecessor. It still employs a heavily modified version of Google’s Android KitKat operating system. But it does away with some of the S4’s more laughable “innovations,” like an eyeball-tracking system that would attempt to pause a video when you looked away. Instead what’s new is a more user-friendly camera, a power-save mode intended to preserve battery life, and new casing that supposedly makes the phone somewhat waterproof. 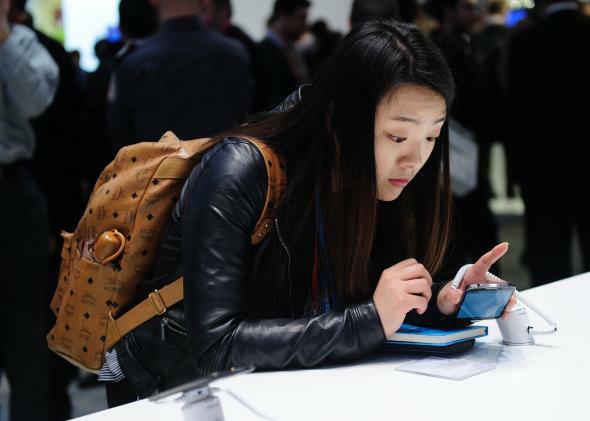 Imagine that: smartphone features that are actually useful. Below the camera is a heart sensor. The S5 sports one other new feature that will make it seem a little more futuristic than its rivals: a built-in heart-rate monitor. The sensor is on the back of the phone, just below the camera. Touch your fingertip to it, and it will read your pulse within five to 10 seconds. In early tests, it worked as advertised, according to The Verge’s Dan Siefert. That in itself is a big change from some of the gimmicky features on previous Samsung phones. What’s cool about a heart rate monitor? Well, for one thing, it’s certainly more convenient than the old trick of using a stopwatch and a thumb on your wrist. But the S5’s built-in monitor is also intended to work with the company’s S Health software, as well as its new wearable devices, including the Galaxy Gear Fit fitness band. That means that it could become an everyday part of people’s health- and fitness-tracking routines. It points toward a time in the near future when your smartphone is not only your personal communications hub, but your portable bio-monitor. Some people, of course, already use their phones in this way, often with the help of an extra device like a Fitbit or Fuelband. The built-in heart sensor in the Galaxy S5 is the latest sign that the trend is going mainstream. As my colleague Lily Hay Newman has noted, monitoring your health and sleep is likely to be the next frontier for Apple as well as it readies its long-rumored smart watch.